Unless you’ve been living under a rock for the past 10 years, the mobile search economy is absolutely exploding at the moment and I thought I would just take a few minutes of your time to explain the different marketing strategies you can use to improve your mobile conversion rates. In the past, mobile users mostly used their devices to browse on because there was very little trust in purchasing things online via their mobile. Of course, this was the same when the internet first came about – people were very wary of handing over their credit card details on a web form because they were scared that their details might be stolen and used by unscrupulous hackers. Fast forward to today and it will be almost strange not to use your mobile device to purchase that winter coat or the USB cable you need by tomorrow. 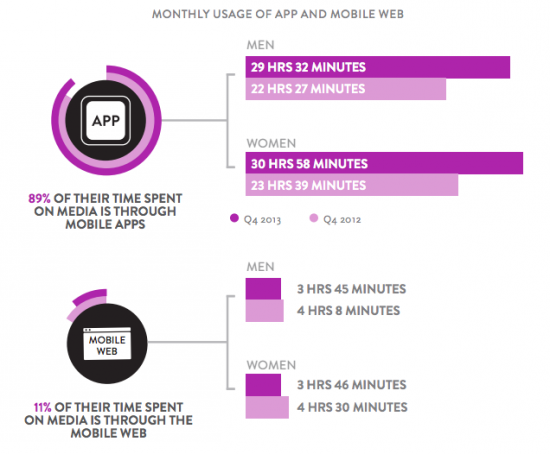 According to a recent study by Monetate, they found that mobile conversion rates are still quite low. In fact, they’re less than half of desktop conversion rates. There are few constraints when it comes to purchasing things via mobile online and you’ll find that most people actually purchase through a mobile app rather than purchasing whilst browsing. In a recent update, Google announced that mobile speed would become a major ranking factor from July 2018. To be fair, this is been in effect for some time and Google has hinted in the past that it was. However, they never really produced a document outlining this fact. 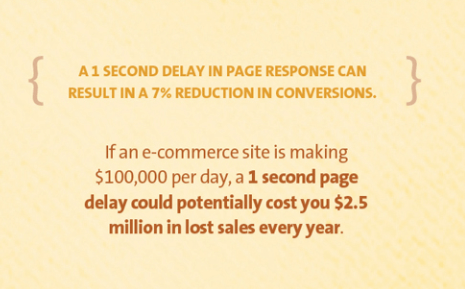 Kissmetrics came up with a very interesting statistic outline in the fact that your mobile page screen may decrease your conversion rate by as much as 7%. 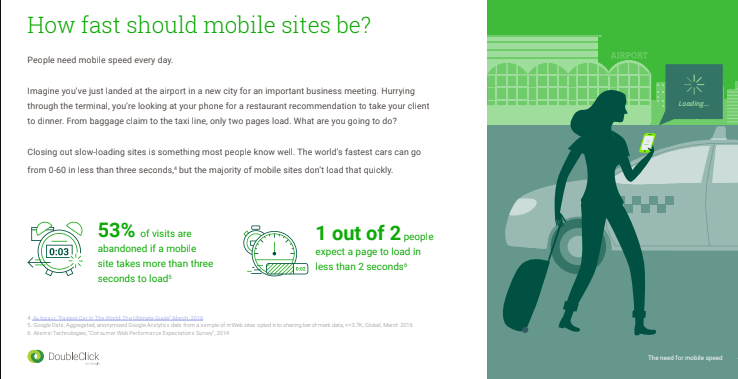 Google’s subsidiary DoubleClick recently released a report that showed that people are likely to leave your mobile site if it takes longer than 3 seconds to load – in fact 53% of the users will leave if this is the case. The first thing you need to consider when building your mobile website is optimising and the mobile layout/construction. Not as popular but done by large corporations is having a separate mobile domain and also use Google’s AMP code which is basically a stripped-down version of your main website. According to Kissmetrics, having a responsive web design just isn’t enough, since they have been known to take an average of between 6 and 18 seconds to load. Based on what I talked about previously, this will result in a very high bounce rate and you will ultimately lose a lot of customers who simply navigate away and choose one of your competitors. * Implement accelerated mobile pages (AMP) code. 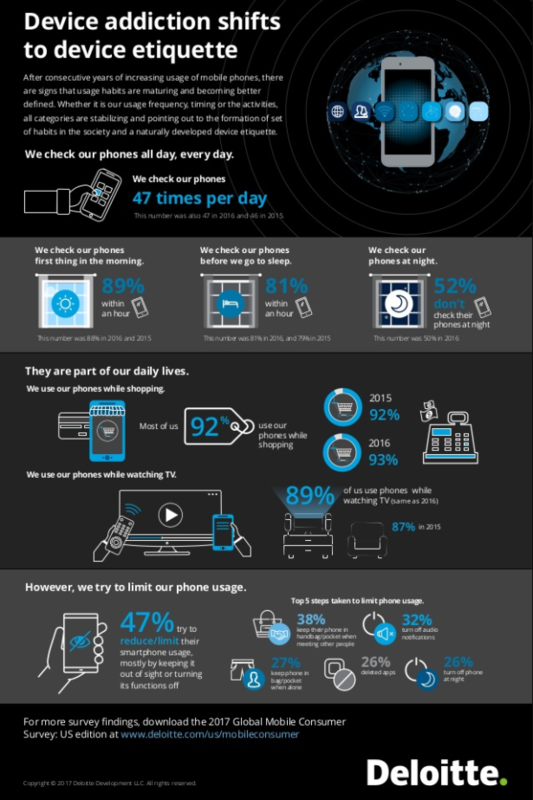 Having the ability to personalise your customers’ experience on mobile is key going forward. What do I mean by personalising their experience? The more aligned you are with what your customer needs and wants, the more they are likely to return to your website or use your mobile app. One of the best ways of doing this is to include the user’s name on screens and in your messaging as a way of personalising their experience. The only thing I would say is, be careful when you implement this – try not to use it on every single web page or page within your app as this could get tiresome and will more likely be a turn-off for your customer. I could list quite a few reasons why people abandon shopping carts online but one of the main reasons is, online retailers have made it quite difficult by asking clients to jump through quite a few hoops. You’ll also find that the checkout process is not as smooth as it could be. I think one of the best things you can do is use a professional payment solution such as PayPal or Stripe as your payment providers. Integrating with these trusted and efficient payment providers will make the buying process a lot easier. A lot of the things I’ve spoken about so far have been quite technical. But, there are simple ways to optimise your mobile website and that is by reducing your content and image sizes. You can do this by adjusting the content length for mobile consumption and also by adjusting your meta tags. In essence, what you’re doing is removing bits of content that aren’t as necessary for mobile optimisation. You also have the ability to write shorter headlines and by making use of headers throughout your content, which works really well on mobile. 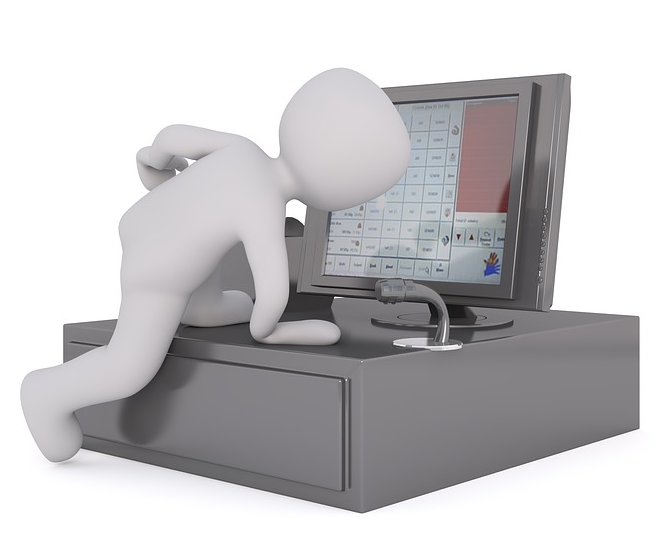 Your “calls to action” need to be as clear as possible and probably larger than they would be on a desktop device. You can also reduce your images by using an image optimizer. So, for example, navigate to a website called resizeimage.net or imageoptimizer.net or picresize.com where you have the ability to resize, compress and optimize your image files. Using these services is as easy as clicking a button. Optimized images are so much better for mobile – they are more suitable for web pages, email attachments, or even storing in the cloud. I personally go one step further and actually store my images on the cloud and then insert them into my web pages (even the images you see within this article are stored on the cloud separately). This means that my website is not hosting my images or video content. Google Drive and my favourite Amazon S3. The good thing is, most of these services are either free or the fee to store your images is extremely low. By now, I would hope you know who your customers are and would probably have segmented them into certain categories. If this is the case then your next step should be to adjust your call to action text for your ads. The idea is to show your customers the benefits of your offer but speaking in simple, easy-to-understand language. The vast majority of people who use a mobile device very rarely scroll to the middle or even bottom of the results, so by advertising on networks such as Google, AdWords and Bing Ads, this gives you that competitive advantage. Whenever you’re designing your web pages for mobile, make sure that you include a ‘Call to Action’ above the fold (can be seen without scrolling). It’s also a good idea to provide some sort of visual response when a user completes an action on your website. Oftentimes your customer will get confused thinking that either their phone isn’t working properly or your website is working properly but there’s no visual response to a click. A recent study by research firm Deloitte showed that 92% of us use our phone for shopping and 89% of use our phone whilst watching TV. Believe it or not, these stats are increasing each year. So, if you are a retailer, there are a few ways you can really connect with your prospective customer by incorporating a few things the big boys do, such as having scannable QR codes on your products or showing where they can download your app for a faster and more streamlined service. One good thing I’ve seen a lot of retailers do is provide discounts on their products by asking the customer to download the app first. You don’t need to be a rocket scientist to work out that by collecting your customer’s information and then persuading them to use your app helps in gaining you a client as well as developing a long-term relationship via app notifications and also email marketing. You may have heard of push notifications before and not known what they were? Push notifications are a way for your app to send information to your customers’ phones via a badge alert or pop-up message, even when the app isn’t in use. You’ve probably seen or heard these type of notifications on your mobile each time an app is communicating with you. You also have the ability to send notifications via SMS text message. For example, if you have a weekend offer and you want to communicate that to your customers, not only can you send them an email using an email marketing strategy, you can also combine this with using an SMS marketing strategy too. There are several different companies that can help you achieve this in your business such as Onesignal.com or Pushwoosh.com to name a few. As the world is changing so fast, it’s so important for both small and medium-sized businesses to keep up with the current trends in the marketplace. Being a mobile-first company means you should make most of your decisions incorporating mobile first before you even think about how things are displayed on a desktop. You’re going to need to make constant changes and upgrades to your mobile website. You’re also going to need to incorporate new services like Google AMP (which is a project designed as an open standard for any publisher to have pages load quickly on mobile devices). Previous Post Here’s The Latest Sneak Peek Video of The 30 Day Twitter Challenge Next Post Is It Time To Change Your Marketing Strategy For Social Media?